If money was not an issue I would be indulging in all sorts of skin products. Getting unready is nicer than getting ready ready these days. It's so relaxing and I think really helps create a good nights sleep. 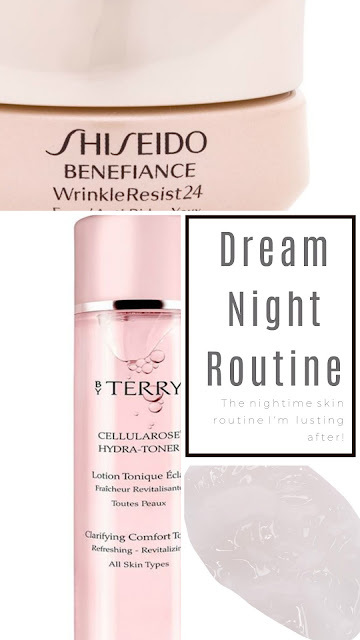 So I've popped together this wish list to lust after, with products which have active ingredients to help keep my skin fresh and nourished as I sleep. Removing your make up is probably the most satisfying way of unwinding. Getting ride of all the grime and dirt often makes my skin feel fresh. This step should be taken everyday as it's so important to get ride of every bit of make up. Which is why I always use 3 products. 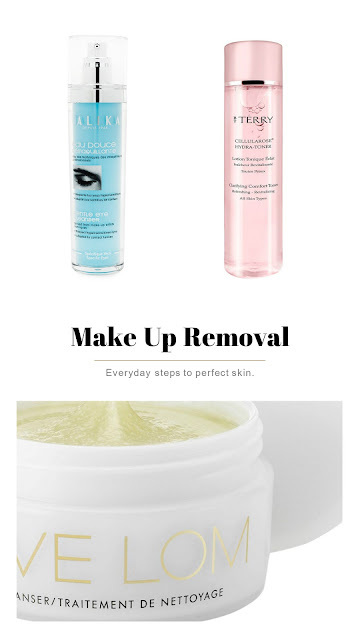 Cleanser, Toner and eye make up remover. Cleansing gets off the big amount of make up, of course removing make up means less dirt to go down your pours and of course less acne in turn. Plus proper removal will give your skin room to breath. This one by Eve Loom looks like the ultimate cleaner. It melts away make up so can shift some pretty heavy stuff as well as exfoliating. Although this looks as though it really gets into the skin and moves away the dirt, you can never be too careful! I always use a toner. Something about it is a little satisfying, getting ride of dirt which you can't really see. This one by By Terry hydrates as well as minimise pours. Both of which I need! And finally, because I'm a mascara junkie, I like to use a separate eye remover. I tried this one years ago by Talkia. It was so gentle (but tough) on my eyes and did not leave one lash unturned. 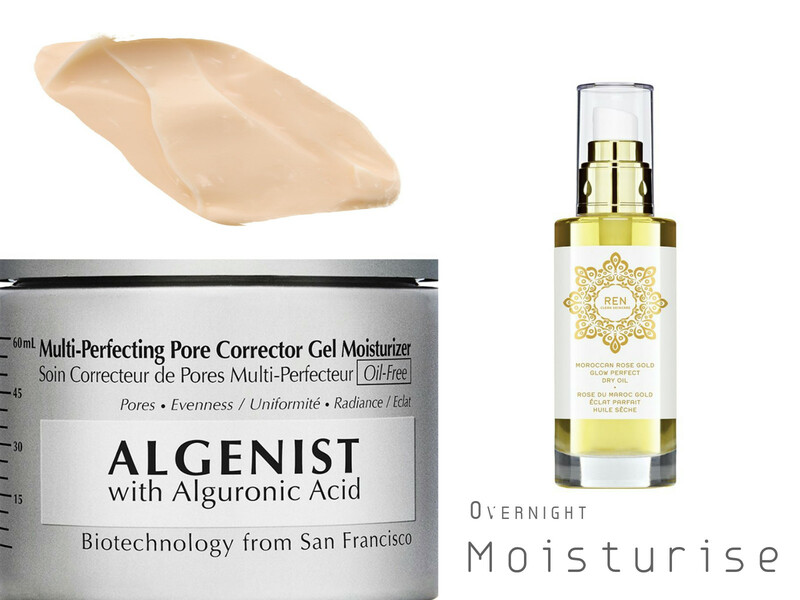 As well as removing make up, moisturising is also an every night must! As your resting, its time for your skin to get some TLC and solve all your most troublesome problems. 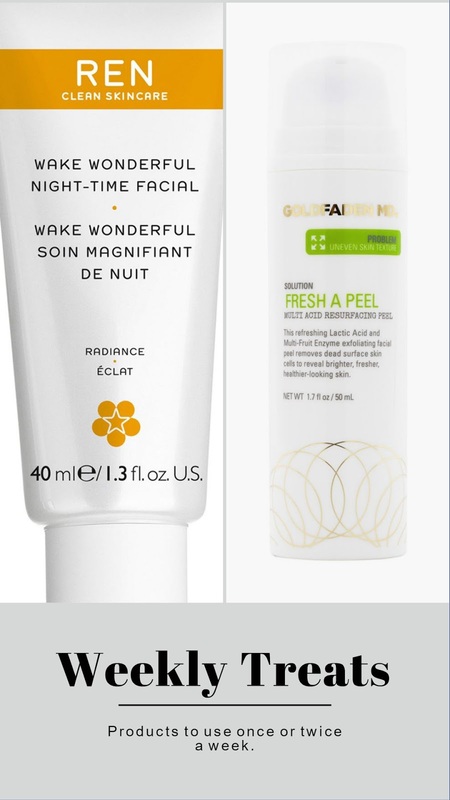 I haven't actually chosen a night time moisturiser- as I'm only just in my 20s these are quite heavy on my face, so I prefer to use a moisturiser for more specific issues. This one by Algenist claims to minimise pours, and I know that gentle acids is actually the best way to do this. I personally believe that eyes can tell your age, so I don't think it's too early to start using an anti wrinkle one! Shiseido has a buttery texture and the packaging just looks like a piece of modern art. Finally, using a serum is very important for repair. Ren's Moroccan Rose Gold dry oil. Argan oil is essential for skin care and I truly believe it's one of the most important ingredients for any skin routine. It contains lipds and free radicals as well as containing ingredients which the body stops or slows down making naturally with age. Sometimes our skin just needs a serious treatment. This peel in a pot by Goldfaden MD removes dead skin to help resurface. Sounds like a salon treatment at home, BUT this shouldn't be used regularly. It can become too abrasive if used regularly. Similarly it's important to restore moistuirser with a more intense product is really important too. REN clean skin overnight cream repairs the skin which also tones and evens skin. These powerful treatments should keep your skin in tip top condition. What are your essential night time routines? N.B: This post is part of a competition for Farfetch, but all my own views and thoughts.